Wavecell simplifies real-time communications using 2-Way SMS and Video live interaction for any platforms such as applications, websites, and services. Our strength lies in offering cloud-based multichannel communications to developers and enterprises for you to build better services by integrating our APIs and SDKs. Wavecell ensures first-class connectivity to 200+ countries while maintaining high-security standards on the platform. Instead of the traditional method of processing claims, customers can call agents using video calls. Thereafter, agents can view the situation of the actual damage via the video. Agents can then remotely prepare a claim documentation for the damage, with the value of claim to be reimbursed to customers. Customers will then be able to accept claim right away. This saves manpower, time and resources. 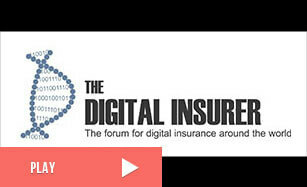 All can be done in a single video live-interaction which enhance the policyholder’s experience. This process also reduce fraudulent practices as the real-time video can’t be altered and that the GPS location of the user can be provided. To remotely manage and process applications such as insurance, investment and more. Customers and agents can start a video call to access the application document in real-time. Agents can share the contract during the video call by doing screen-sharing or co-browsing. 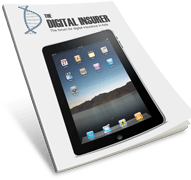 Customers are able to submit their secured digital signature and approve document / contract. During the call both agent and customer can annotate the documents or websites shared. This saves time and decrease costs as well as increase customer service satisfaction. All the interactions can be securely recorded if needed. Financial institutions can quickly authenticate customers using video live-interaction solution. Customers can call in using Video to ask quick questions. Before moving ahead with the call, customer service support can ask the customer to capture a HD picture of his/her ID card within the same frame as the customer’s face. This authentication allows to remotely replicate the face-to-face identification process used for KYC, without solely relying on passwords and tokens. Our video solution can be integrated into any applications (using our APIs and mobile SDKs). Customers can go online (mobile/web), start a chat with an online advisor. They can escalate a chat to a video call to have a private consultation session with the advisor. Within the video call, they are able to share screen, annotate on documents and to share files. This brings customer service to a whole new level - instead of having customers to spend time calling, emailing or travel to physically meet the advisor. This solution offers an interactive, smarter customer experience on any devices.